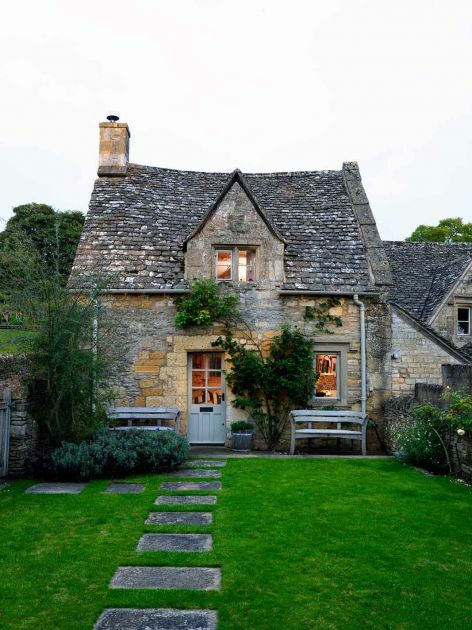 Check out this dreamy fairytale cottage: you'll fall in love with the inside! This little cottage dates way back to the 18th century. 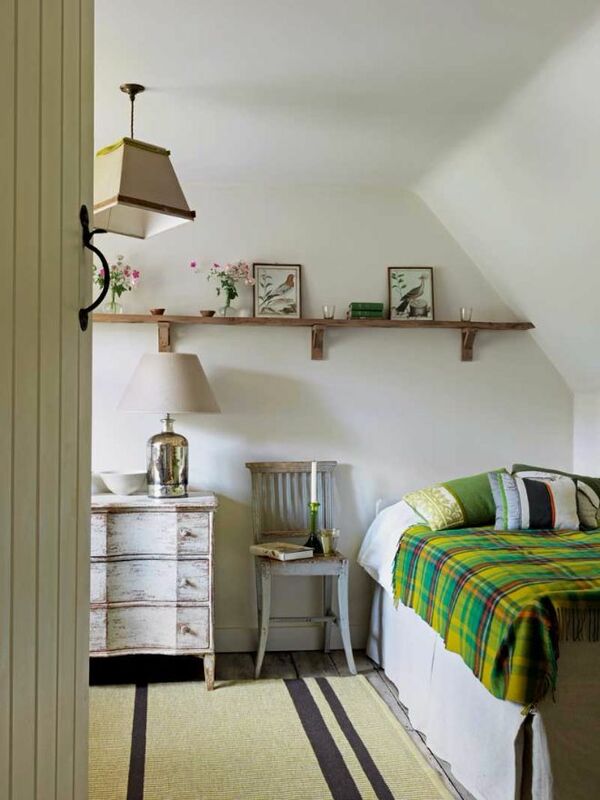 Located in rural England, an area full of green rolling hills and grassy farm fields. The little stone house looks right at home nestled in the truly picturesque landscape. Take a step inside though, and modern touches meld perfectly with the antique backdrop of the house. Designed by Caroline Holdaway, her challenge was "bringing a sense of harmony and history back to the property." She achieved her goal with reclaimed materials, vintage furniture, and a contemporary design plan that still pays tribute to the home's past. Take a full tour of the unique interior below. The living room includes chairs in both purple velvet and bold striped fabrics. 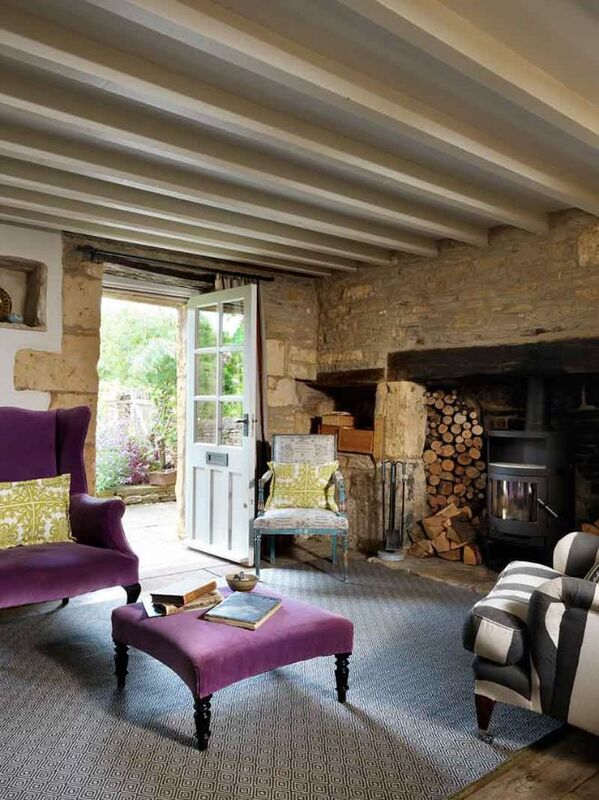 The juxtaposition of the modern textiles against the historic stone walls has a very chic and pleasing effect. The sofa is also a daring choice in blue, complete with colorful pillows. You don't need to shy away from color even when working with historic architecture. 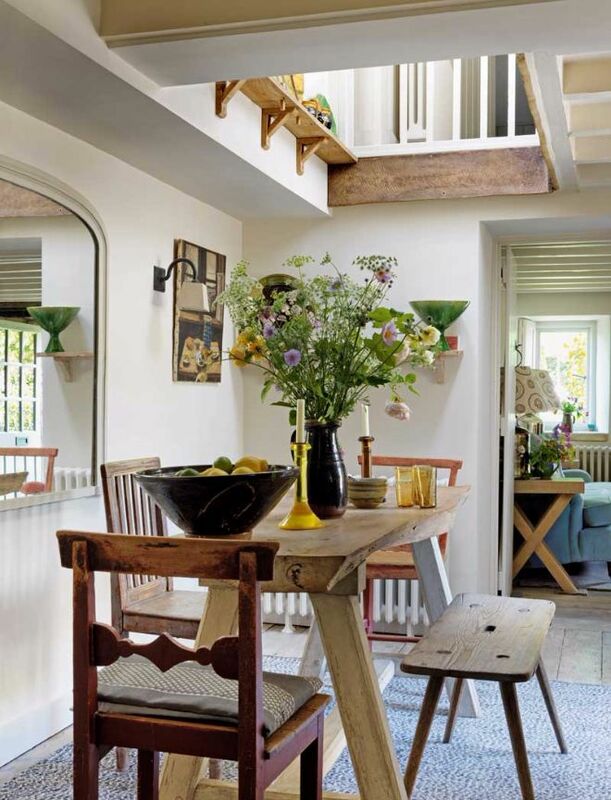 The dining table and chairs are a combination of reclaimed wood and antique finds, a perfect homage to the history of the cottage. Skylights let in light to brighten the space. 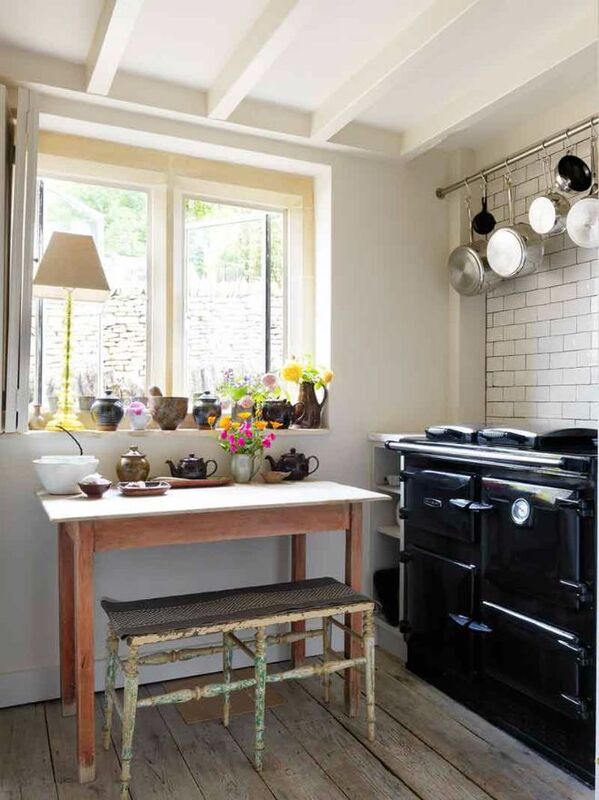 The vintage stove suits the space well. 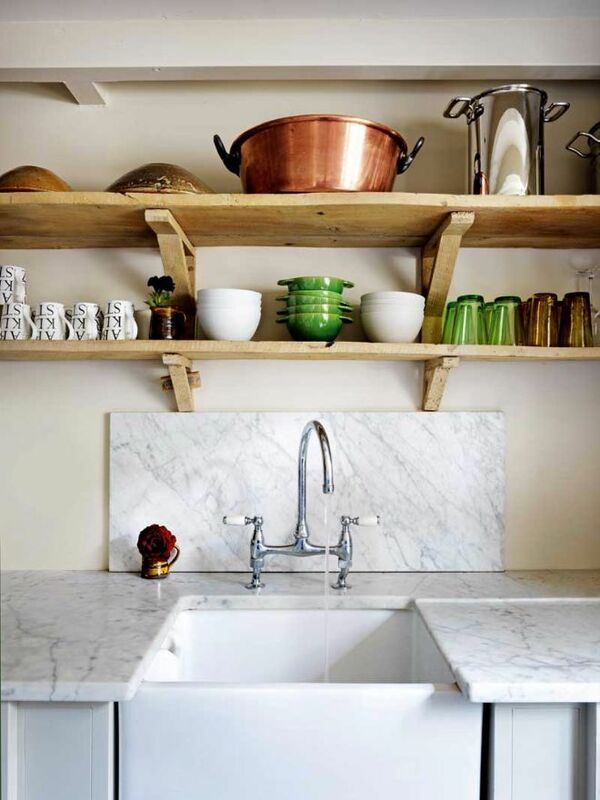 Hanging cookware on an extension rod is a great and stylish space saver for a small kitchen. Open shelving displays pottery and glassware. Marble counter tops bring brightness and luxury to the kitchen. There is no fear of color in the bedroom! Lime green bedding and matching artwork make the space feel modern yet cozy. Green is carried into the guest bedroom as well. Vintage furniture and artwork complete the eclectic style.